Sometimes I take a photo and when I'm editing I think I should delete it. 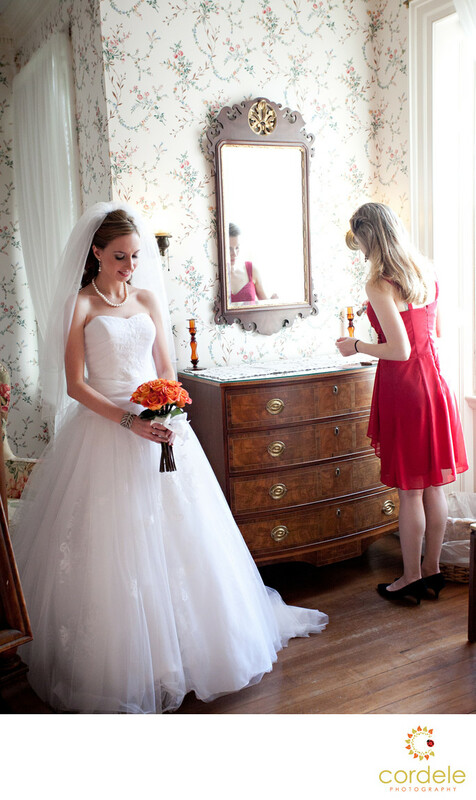 I gave this photo a second look and love the position of the bride looking at her flowers, as a bridesmaid is hurrying to finish her own make up. The window light highlights the bride in a nice way. This photo also shows you the age of the venue we are in with the old wallpaper!